The Kinks were an English rock band formed in Muswell Hill, North London, by brothers Ray and Dave Davies in 1964. Categorised in the United States as a British Invasion band, the Kinks are recognised as one of the most important and influential rock groups of the era. Their music was influenced by a wide range of genres, including rhythm and blues, British music hall, folk and country. Ray Davies (lead vocals, rhythm guitar) and Dave Davies (lead guitar, vocals) remained members throughout the group’s 32-year run. Longest serving member Mick Avory (drums and percussion) was replaced by Bob Henrit formerly of Argent in 1984. Original bassist Pete Quaife was replaced by John Dalton in 1969 and Dalton was in turn replaced by Jim Rodford in 1978. Keyboardist Nicky Hopkins accompanied the band during studio sessions in the mid-1960s. In 1969 keyboardist John Gosling joined the band, making them an official five-piece, while Ian Gibbons replaced him in 1979, playing in the band until its eventual demise. The Kinks first came to prominence in 1964 with their third single, “You Really Got Me”, written by Ray Davies. It became an international hit, topping the charts in the United Kingdom and reaching the Top 10 in the United States. Between the mid-1960s and early 1970s, the group released a string of commercially and critically successful singles and LPs, and gained a reputation for songs and concept albums reflecting English culture and lifestyle, fuelled by Ray Davies’ observational writing style. Albums such as Face to Face, Something Else, The Kinks Are the Village Green Preservation Society, Arthur, Lola Versus Powerman and the Moneygoround and Muswell Hillbillies, along with their accompanying singles, are considered among the most influential recordings of the period. The Kinks’ subsequent theatrical concept albums met with less success, but the band experienced a revival during the late 1970s and early 1980s with albums Sleepwalker, Misfits, Low Budget and State of Confusion. In addition, groups such as Van Halen, the Jam, the Knack and the Pretenders covered their songs, helping to boost the Kinks’ record sales. In the 1990s, Britpop acts such as Blur and Oasis cited the band as a major influence. 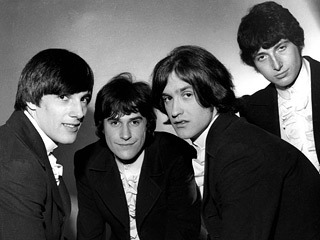 The Kinks had five Top 10 singles on the US Billboard chart. Nine of their albums charted in the Top 40. In the UK, the group had seventeen Top 20 singles and five Top 10 albums. Four of their albums have been certified gold by the RIAA. Among numerous honours, they received the Ivor Novello Award for “Outstanding Service to British Music”. In 1990, their first year of eligibility, the original four members of The Kinks were inducted into the Rock & Roll Hall of Fame, as well as the UK Music Hall of Fame in November 2005. I have sung alot of these songs live with my band at parties and events and in a 1960s show The Zoots. The Kinks music is so well loved all over the world. We love The Kinks too! Thanks for sharing this!